January 27th, 2019 Be the First to Comment! Every Sunday is a chance to reflect on your new self love behaviours and to reward yourself for your efforts throughout the previous week. 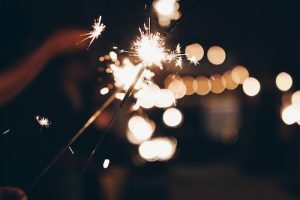 Even though today is my last ‘Month of Self Love’ love note reminding you to celebrate yourself, I do hope you will continue your own practice of celebration and reflection throughout the year ahead. Today’s invitation is the same as last week and I hope you will continue with this practice in the weeks to come. * How did you playfully and joyfully engage and flirt with life this week? What did you do that made you feel really good? * What did you learn about yourself this week? * What daily rituals / practices did you do? Please consider how you honoured and supported yourself on all levels – spiritual, physical, mental, emotional. * What are you grateful for? Write at least ten things! * What are you proud of accomplishing this week? (consider your work, relationships, health & fitness, finances, fun and adventure, self care etc). * My commitments to myself for this new week ahead are ….. I am celebrating you so much! Congratulations for all that you have done this month to deepen your relationship with yourself. The world needs more self aware, self loving women.